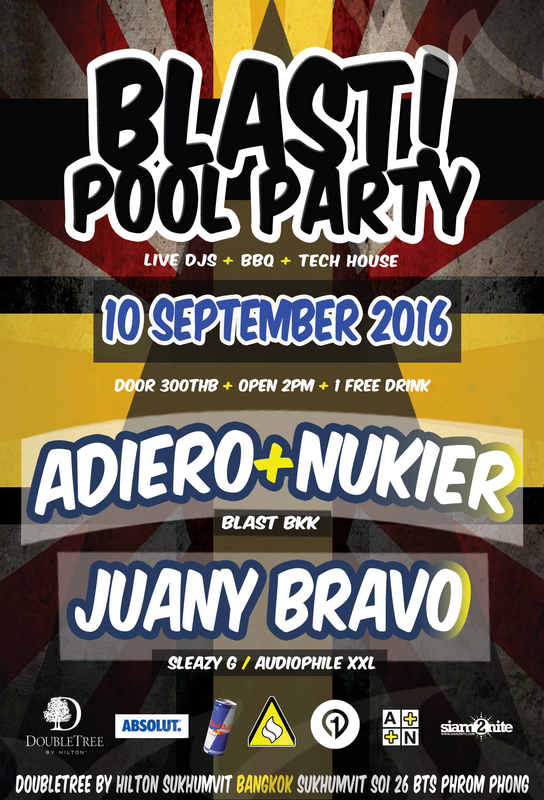 Blast Pool Party returns to DoubleTree by Hilton Hotel for another daytime tech-house pool party! The Blast family are local event organizer known for exceptional undergroup music vibes, getting to the roots of the Tech-House and and Deep House movements. Most known for their Blast Pool Party, it's almost time for the September edition of the recurring fun-in-the-sun afternoon, which happens on the 2nd Saturday of each month. On Saturday, September 10, you're invited back to DoubleTree by Hilton to experience the energetic outdoor dancing space, lush blue rooftop pool, and plenty of refreshing drinks to make sure that summer vibes and poolparty afternoons kick off right! Are you ready to get your wild summer fun on?? 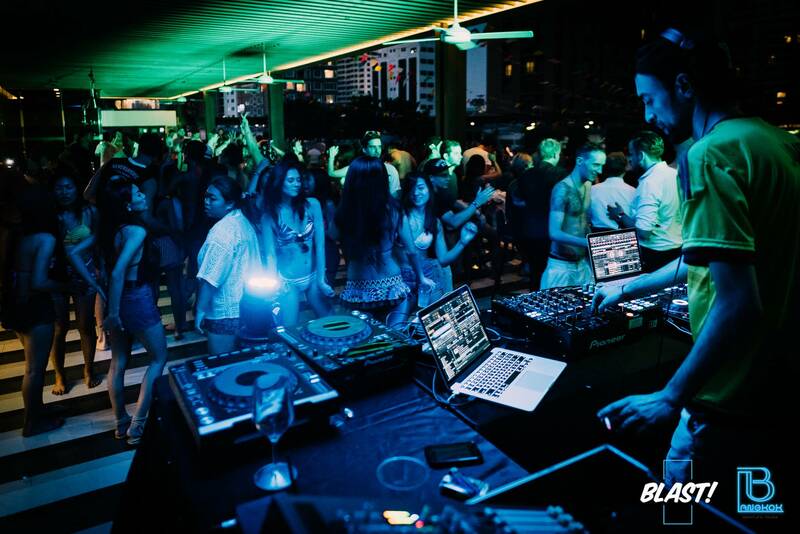 For this event, Blast.Bkk residents DJs Adiero + Nukier and Juany Bravo play bass pumping sets of tech-house and playful house tunes to get your mind and spirit flowing with the music. And with sponsors like Absolut and Red Bull, you'll be well prepared..
And don´t worry about the rain, there is a covered indoor area where the party continues into the night!